Rugs. 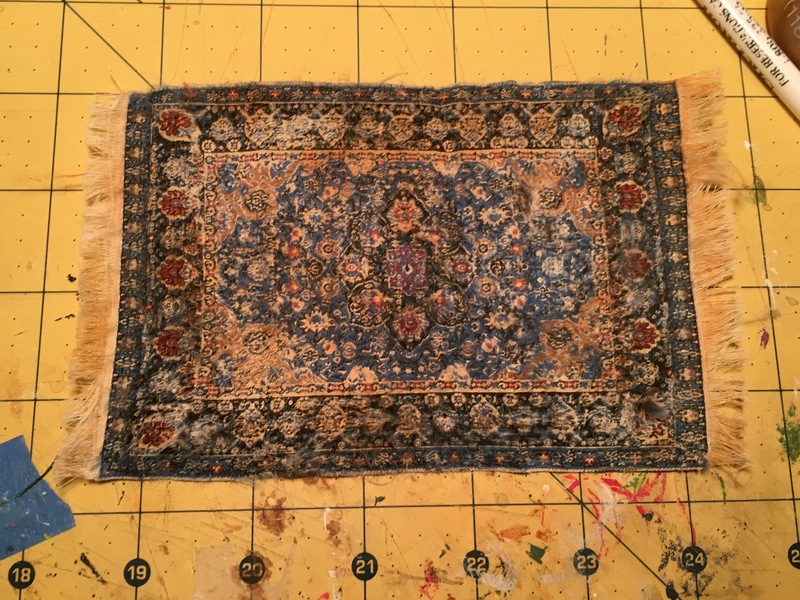 I’m talking about aging rugs. Don’t get me started on my aging. 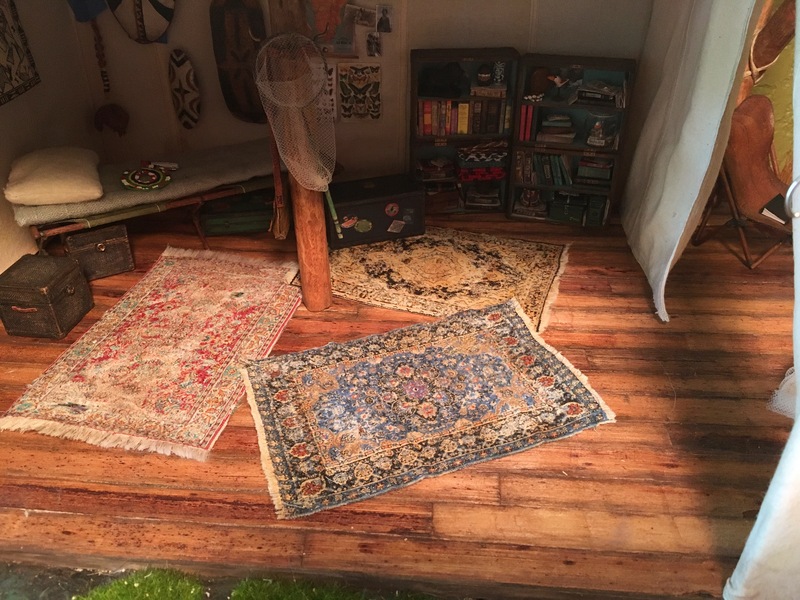 The rugs in the tent have been traveling with my little adventurer across the African continent. 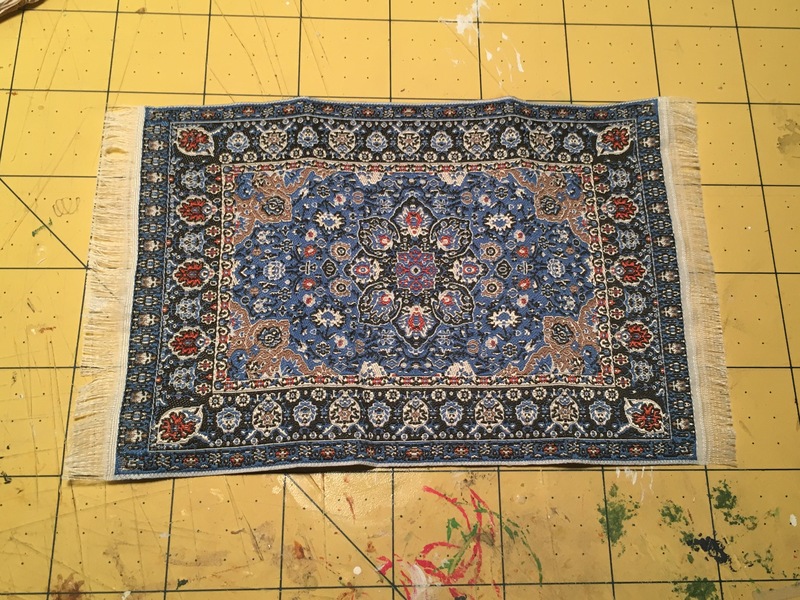 Originally I wanted to avoid buying premade rugs. Mostly because I haven’t really found any that had patterns that made me excited. However, after my very short attempt at weaving a rug, I gave in and bought 3 rugs. They were all too new looking. I thought maybe some bleach would tone down the vibrancy of the rugs. Turns out bleach has little effect on polyester. So, plan B- paint. 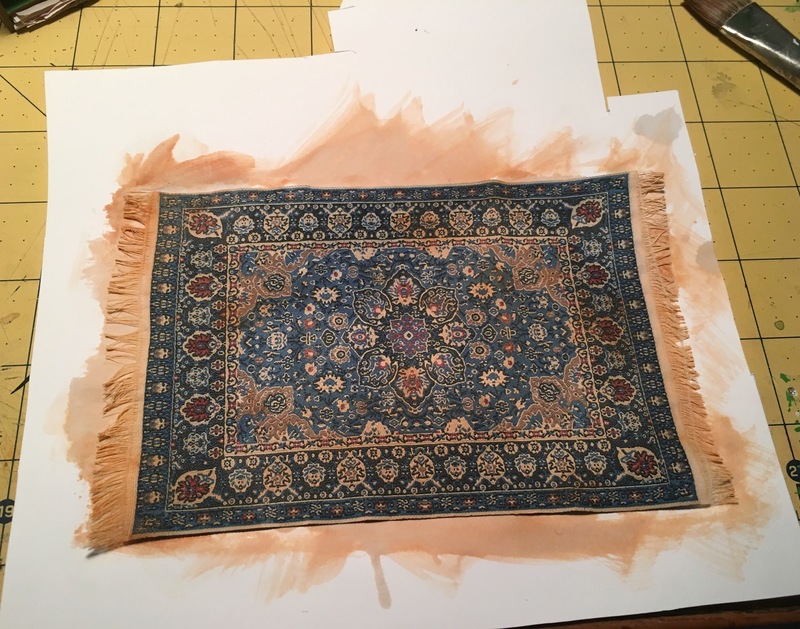 Beige paint, tan paint, and lots of water smeared all over the rug. Then I let it dry. After it was completely dry, I took my Dremel’s sanding bit and added lots and lots of wear. There are areas that are worn through and some rough spots along the edges. This leaves the surface really fuzzy though. 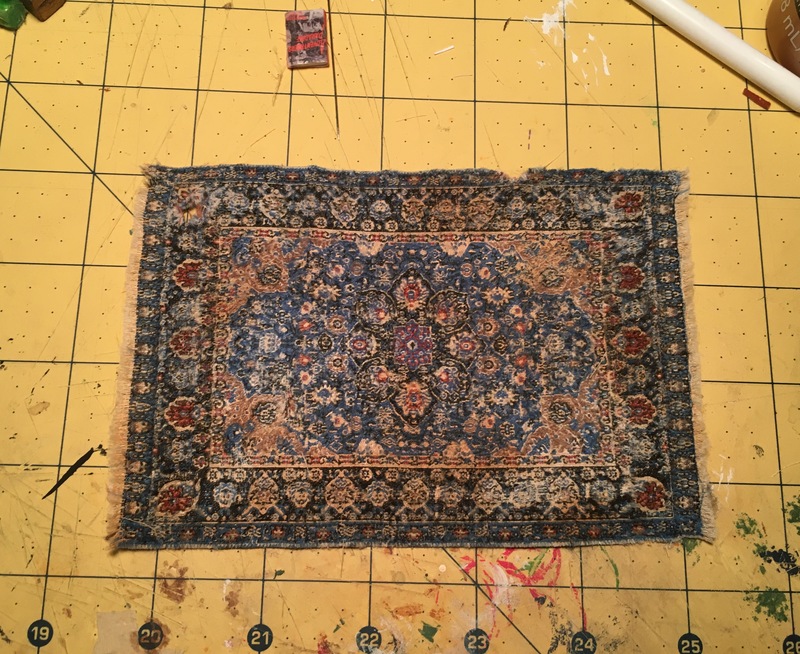 Using a pair of tiny scissors I “shaved” the rug, trimming around holes and worn spots so they are more visible. The fringe on the end is cut down to look a little bit more in scale. 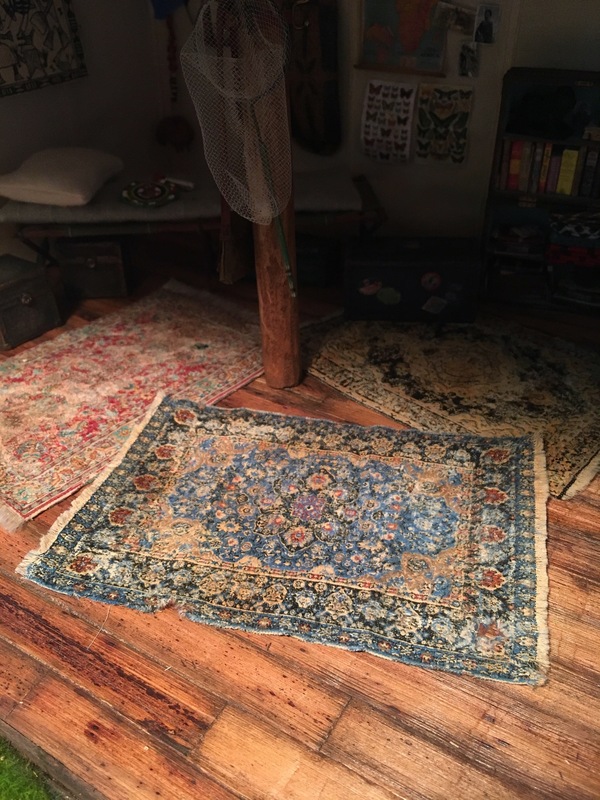 I’m happy with the aging of the rugs. One more thing I can cross off the list that won’t stop growing. Wow! Nicely done… They look like they’ve been rolled and unrolled all over Africa.